Fiddler on the Roof in Yiddish “offers a kind of authenticity no other American ‘Fiddler’ ever has” (The New York Times). Note: This production is in Yiddish with English and Russian Supertitles. This soul-piercing Fiddler demands to be seen" (The Hollywood Reporter). It may have only been just two years since the fifth Broadway revival of “Fiddler on the Roof” took its final bow, but the musical masterpiece, written by Joseph Stein with music by Jerry Bock and lyrics by Sheldon Harnick, is back in New York City — and will be heard completely anew. The National Yiddish Theatre Folksbiene production, which transferred off Broadway to Stage 42 from a sold-out run at the Museum of Jewish Heritage, is performed completely in Yiddish. But for those who don’t speak Tevye’s native tongue, the performance is accompanied by supertitles in English and Russian. Directed by Tony Award winner Joel Grey, “Fiddler on the Roof” is set during the late 1800s and tells the story of a Jewish milkman striving to maintain tradition in an ever-evolving world as he sees his three oldest daughters, Tzeitel, Hodel, and Chava, fall in love. However, Tevye struggles to keep up with the times when the young women buck the system by asking for his blessing to wed the ones they love — instead of jumping into a marriage that has been previously arranged. This is not the first time “Fiddler on the Roof” has been performed in Yiddish. Shraga Friedman translated the piece for a one-night concert in Israel in 1965. The National Yiddish Theatre Folksbiene is the longest continuously producing Yiddish theatre company in the world. Seven hundred actors auditioned for the production’s 27-person cast so the creative team could test the performers’ Yiddish and ability to make adjustments in that language. Zalmen Mlotek, NYTF’s artistic director, approached Grey to direct the piece. Mlotek serves as the show’s music director. Every performance day, on a first-come, first-served basis, a limited number of $30 Rush tickets for "Fiddler on the Roof In Yiddish" will be made available at 9am. To unlock this feature, "Fiddler on the Roof In Yiddish" simply requests that you spread the word on social media through the TodayTix app. Company may offer programs whereby the Company would make available certain features of the Services when you share information about the Services through an SNS or click on the “Unlock without sharing” button in the Application. 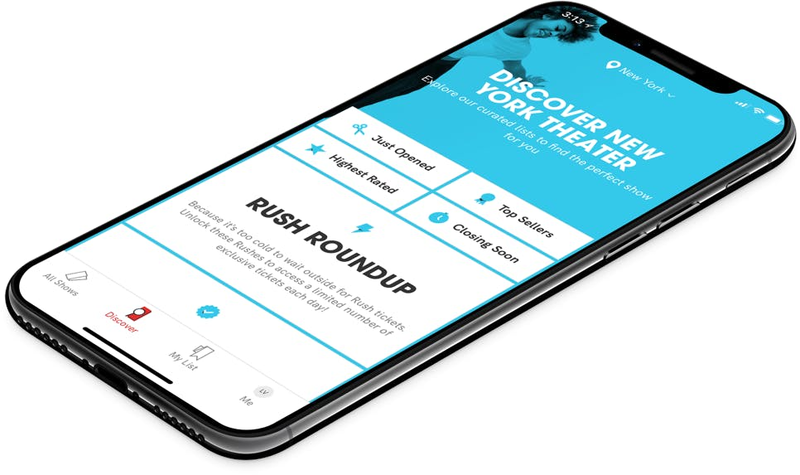 When you are considering purchasing a ticket for a specific show or after you purchase a ticket, if you select the “Share” button in the Application, Company will make available to you a personalized link to a Digital Property with text stating, for example, “Check out Fiddler on the Roof In Yiddish on TodayTix! I’m thinking of going…” or something similar, which you may choose to share with your friends via SNS. Once you have shared the personalized link through an SNS using the Application or selected the “Unlock without sharing” button in the Application, Company will make available to you the RUSH feature, which will provide you with otherwise unavailable offers for tickets to live events occurring in the next week. The opportunity to take advantage of these offers is only available to users who share a personalized link to an SNS through the Application or select the “Unlock without sharing” button in the Application.